How fast should you change your diet to lose weight? Setting goals and making gradual lifestyle changes will lead to success. When it's time to shed pounds, you may want to dive headfirst into a new diet plan. But rethink that strategy. Making dramatic lifestyle changes to lose weight can be challenging at least, and at worst may end in failure. Instead, think about reaching your desired weight gradually. That will allow you to eat many of the same foods you love and slowly master changes in your eating habits that will hopefully last for years to come. 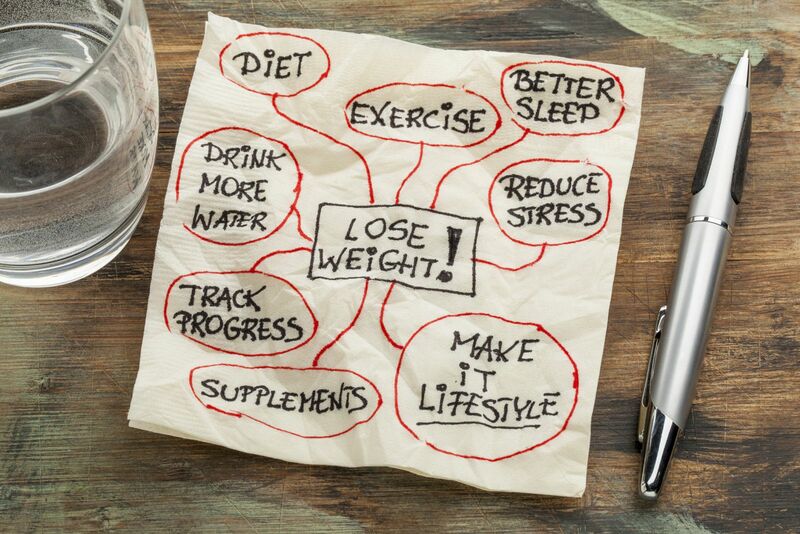 In order to make lifestyle changes to lose weight, you'll need to set goals, according to the Harvard Special Health Report Lose Weight and Keep It Off. First, come up with a master goal, such as reducing your body weight by 5% to 10% in six months. Next, come up with smaller goals to help you achieve the desired weight of the six-month goal. Mini-goals should be simple changes that you know you'll be able to maintain. Cooking dinner three times a week. When you cook, you control the portion size and the ingredients. Brown-bagging it at least three times a week. You'll save hundreds of calories and money, too. To make it easy, pack up home-cooked leftovers right after dinner for lunch the next day. Add two healthy foods to your shopping list. Aim to try a minimum of two of these each week. Rethinking your drink. Eliminating soda and replacing it with water has been shown to help people shed 2.5% of their body weight in just six months. Other options include coffee without sugar, unsweetened iced tea, or sparkling water. For a pop of flavor in your water, add cucumber slices, whole fresh berries, or a wedge of grapefruit, orange, lemon, or lime. Trying a new spin on fast food. If you regularly eat fast food, you don't have to avoid it entirely. Instead, scout out the restaurant's website for some of the lighter options on the menu. Avoiding ultra-high-calorie foods. Some foods supply so many calories that they make weight loss nearly impossible. For instance, when dining out, you may want to avoid foods such as onion rings, taco salad, lo mein, and mozzarella sticks. Once you've got the hang of it, you can increase your targets—cook dinner five times a week, for example, and remake your shopping list, replacing unhealthy foods with more healthy ones. Once you've mastered one lifestyle change to lose weight, then try another, and another. Before you know it, you'll be eating more healthfully, the pounds will slowly start to fall off, and you'll reach the desired weight of your six-month goal. If you combine a healthier diet with an exercise plan, you'll have even more success. Just don't rush yourself, whether it's a new diet or a new exercise program. Slow and steady will help you win this race, with your desired weight as the grand prize.